The nation’s vice-chancellors have been blindsided over cuts to university funding, after it emerged they would not receive any additional revenue from ­increased student fees. Confusion over the budget reforms, which will rip $3.8 billion from university coffers over the next four years, led vice-chancellors to believe they would receive additional money from a 7.5 per cent fee rise. But budget papers show that for every extra dollar raised from higher tuition fees, one will be cut from commonwealth grants to ­institutions. The measure could see about $73 million a year redirected to the government. Vice-chancellors are furious that students will not benefit from the increased fees but will instead be forced to contribute directl­y to the budget deficit. Coalition politicians yesterday sold the fee rise on the basis it equated to just $9 a week — or three cups of coffee. 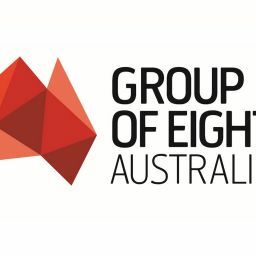 Peter Hoj, the chairman of the Group of Eight universities, said Australia had the second-lowest level of investment in higher education as a percentage of GDP in the OECD. Australian students currently contribute the sixth-highest in the OECD, a level that will rise following the proposed fee increases. Vice-chancellors are also reeling from the potential financial consequences of minister Simon Birmingham’s higher-education reforms, which they say could have disastrous consequences. Monash University vice-chancellor Margaret Gardner said the reforms could see her university funding slashed by $101m. “The impacts of these cuts will be felt in the university for years to come,” Professor Gardner said. A 2.5 per cent “efficiency divid­end” will also be imposed on eight institutions that recorded deficits in 2015. “It’s going to be very difficult to absorb another cut,” said Peter Dawkins, the vice-chancellor of Victoria University, which has recorded deficits in five of the past six years. VU’s 2016 annual report shows it had a deficit of $10.8m. It expects to be hit by an additional cut of $3m over two years under the government’s reform package. Professor Gardner said the reforms were fair only in the sense that they were not as disastrous as the 2014 Abbott government package that proposed a 20 per cent funding cut, which could be recouped from the deregulation of student fees. An Education Department spokesman confirmed that the “Commonwealth Grant Scheme funding will be reduced by amounts that are commensurate with the increases in the maximum student contribution amounts” but said “universities will not notice any difference in their resourcing for courses”.